Immaculate Heart of Mary Statue by Veronese 8 Inch. 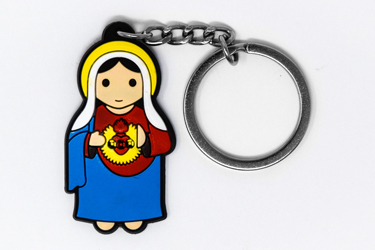 Immaculate Heart of Mary Statue by Florentine 5 Inch. Immaculate Heart of Mary Statue by Florentine 12 Inch. Immaculate Heart of Mary Wood Framed Picture & Prayer. 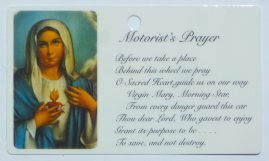 Immaculate Heart of Mary & the Motorist's Prayer. Crystal Rosary of The Seven Sorrows of Mary. Blue Crystal Chaplet of The Seven Sorrows of Mary. Blue Crystal Our Lady of Sorrows Chaplet.